If you were to ask someone whether they like spam, chances are they’d say no. They’d probably make a face too. I’ll admit, I was one of those people. I mean, it’s a slimy block of meat coming out of a can. I was first converted last year when we hosted a tropical themed party at our place. 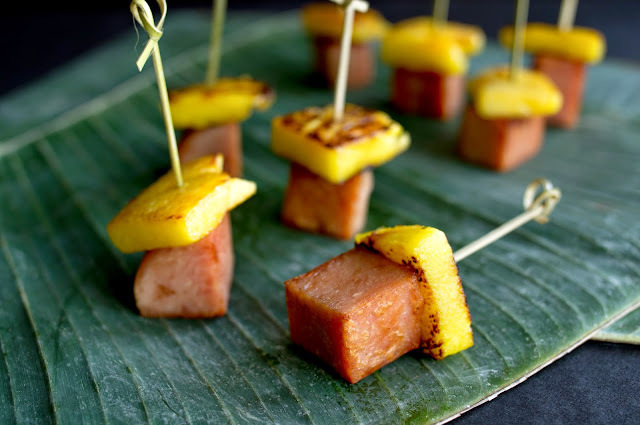 Researching tropical foods, we found out that spam is a staple in Hawaii. I remembered a No Reservations episode where Anthony Bourdain raved about a spam sandwich he was eating while in Hawaii. And thus the spam and pineapple skewer was born. When spam is fried it completely loses its sliminess and instead becomes deliciously crispy. 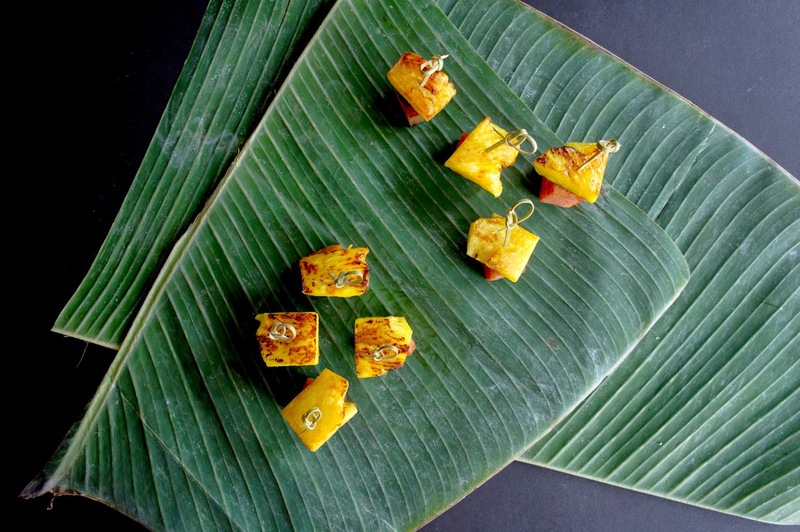 Paired with a caramelized piece of pineapple, it’s a mouthful of awesome. I mean, ham and pineapple are made for each other. These bite-size snacks take no time to make and are perfect for a party. 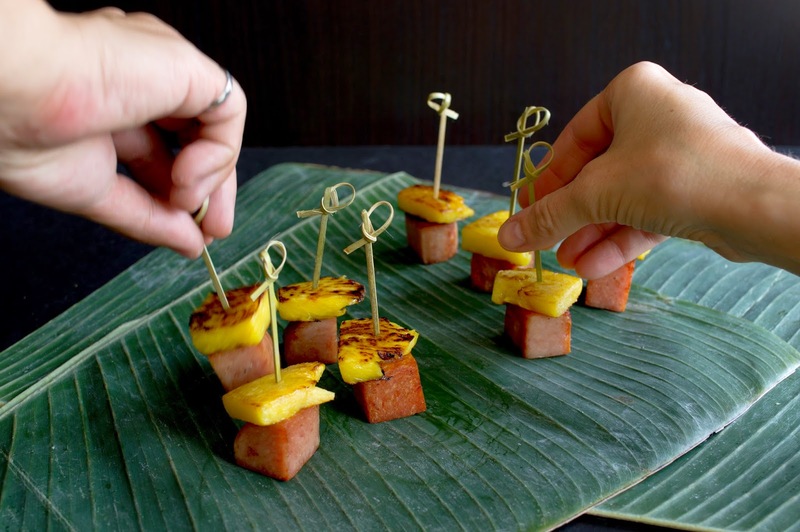 Don’t tell people it’s spam and they probably won’t ask; their mouths will be too full. You better believe we ate spam when we went to Hawaii in April and it was as delicious there as it was the first time. Become a spam convert! Cut spam into about 24 cubes, about 1 inch across. 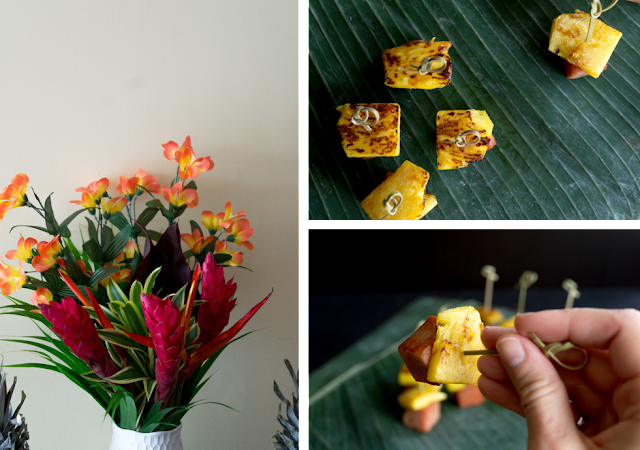 Cut pineapple into similar sized pieces. Heat a skillet over medium heat. Add enough oil to the pan to coat the bottom. Fry spam cubes until golden brown. Depending on your patience you can brown them on a few sides or all sides. Set fried spam aside. In the same skillet add a bit more oil and fry the pineapple on both sides until caramelized and golden brown. 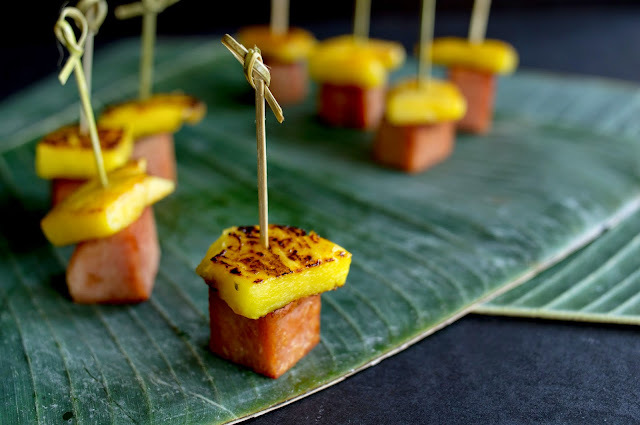 Skewer a pineapple slice followed by spam cube. Arrange skewers on a platter to serve.